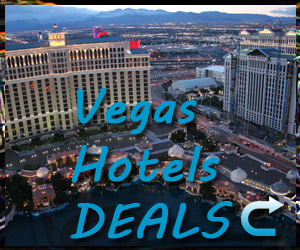 In Las Vegas, saying the name Steve Wynn would be like saying “Mickey Mouse” in Disneyland. While everyone may not know the story behind them, chances are they’ll know the importance behind both individuals. 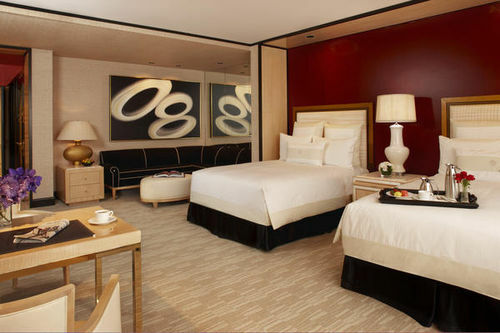 Located right next to the extravagant Wynn Resort is Encore at Wynn Las Vegas Resort. 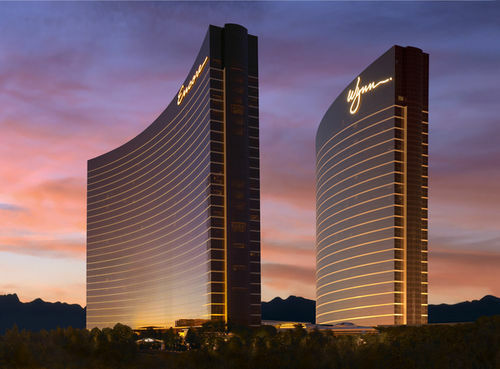 Encore carries the essence of everything Steve Wynn stands for – class, luxury, and style – and holds true to these facets throughout every one of its aspects. 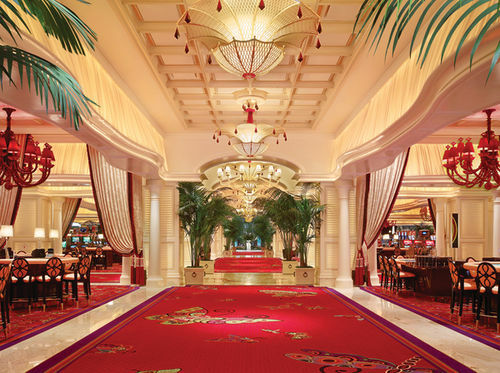 Known as being one of the highest rated resorts along the Las Vegas Strip, Encore at Wynn is elegance in its truest form. Unlike its older sister, Encore caters to a younger crowd – a fact made evident through the more modernized interior design and décor. The 2,000 plus rooms in the hotel are decorated with top-of-the-line furniture that is sure to bring a whole new meaning to the word “comfort”. Rooms come in six different varieties – two different iterations of the 700 sq ft Resort Suite, a Panoramic View Suite, a Tower Suite, the near 1,500 sq ft Parlor Suite, and the Salon Suite which comes in at 2,200 sq ft. Each room comes with everything that could be expected out of a hotel room, but at a higher quality then the norm. The Panoramic View Suite offers a first rate view of either the brightly lit strip or the distant mountain terrains of the surrounding desert. Higher graded rooms such as the Tower, Parlor, and Salon Suites garner access to some of the hotels best amenities such as in-room internet access, in-room breakfast, fitness center access, newspapers, clothing presses, and toll-free calling. The oversized Parlor and Salon Suites will also house separate living room areas and a gourmet mini-bar, along with offering in-room massages. 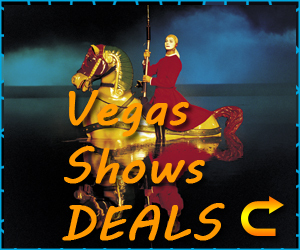 Encore is also home to one of the most sought after nightclubs along Las Vegas Boulevard. Surrender offers the same style and class that flows throughout this five-star resort and creates that perfect party atmosphere for guests to escape to. The club starts with an extravagant indoor display and spills out into the fresh desert air right next to Encore’s resort pool. Though the pool is inaccessible during the nightclub’s hours, the surrounding lounges and cabanas are up for grabs to anyone quick enough. Encore also houses XS, which rivals the best of Las Vegas’ nightlife. 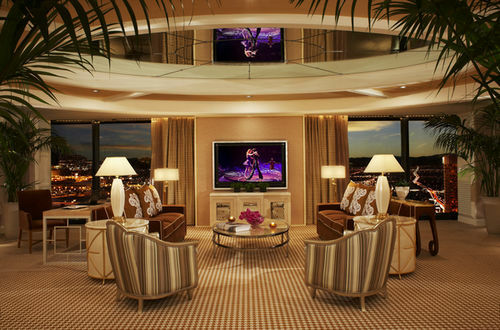 XS is the pinnacle of class and style with gold-plated décor welcoming its guests into its lap of luxury. On a summer Sunday night, the party at XS is moved from the shining indoor space to an outdoor pool party. 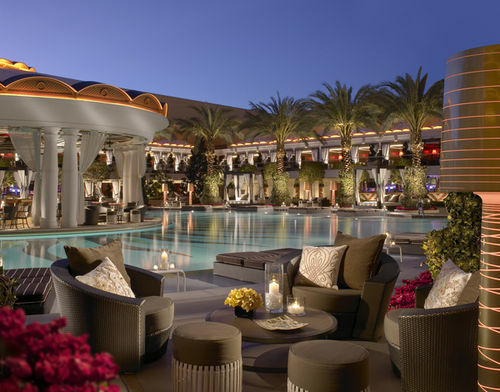 During the day, guests can partake in the Encore Beach Club, which essentially brings the nightclub atmosphere into the light of day. An array of food options are scattered throughout this resort and range from the usuals of Italian, Asian-inspired, Steakhouse, and Seafood menus. The dining experience at Encore matches the rest of the resort’s opulence, and you’d be hard-pressed to find food even half as good as what these restaurants offer. Thanks to its lavish style and spare-no-expense attitude, Encore is far more then just a hotel and resort – it’s an experience. 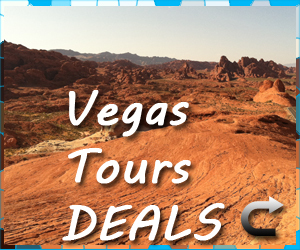 If you’re planning on making the trip out to Las Vegas, then why not treat yourself to the best vacationing experience one could hope for.